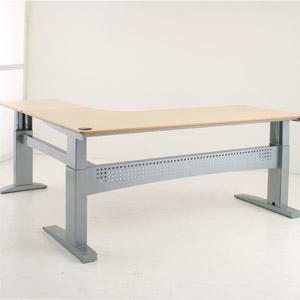 For your nearest Conset supplier contact: 01245 477922 or e-mail and we will suggest a main dealer to supply and install your desk. 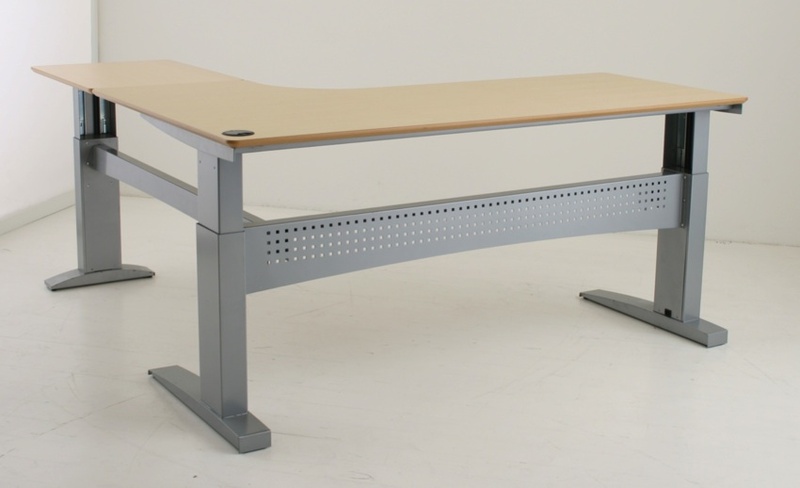 it's time to stand up and recycle your 'old school' desk. 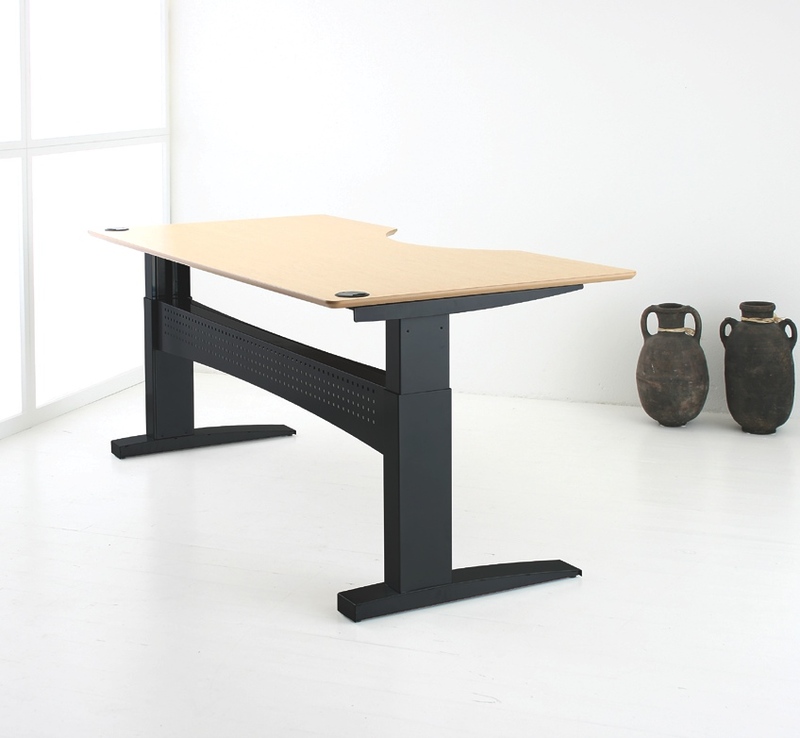 Why not re-use your table top and fit a new electric height adjustable desk frame. 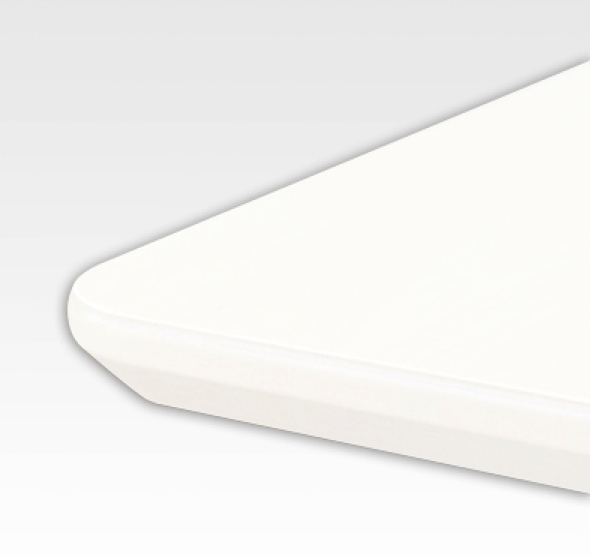 Check the high specification and value for money of series 501-29, a proven success. 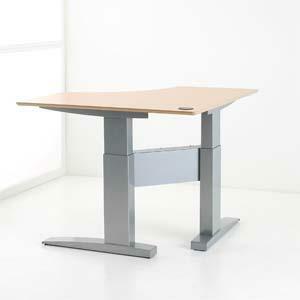 Conset: Promoting affordable healthy working. construction with heavy undertop brace traverse link. 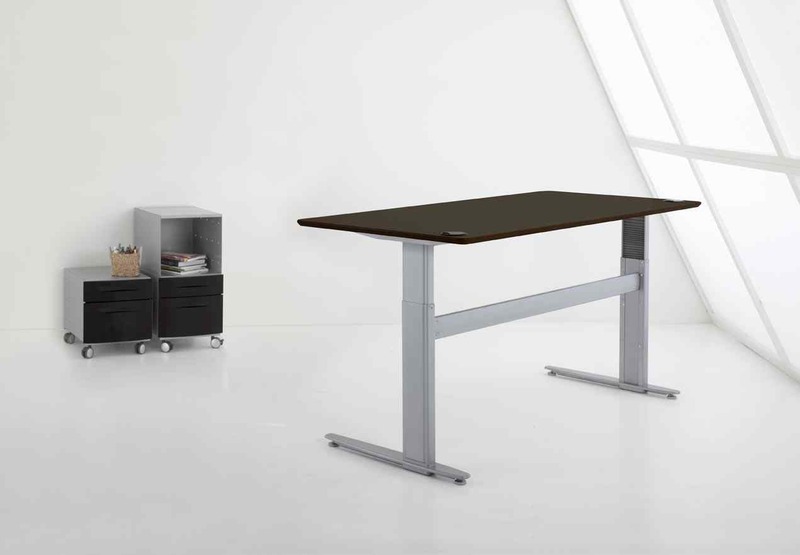 Series includes a 120 degree height adjustable desk frame. 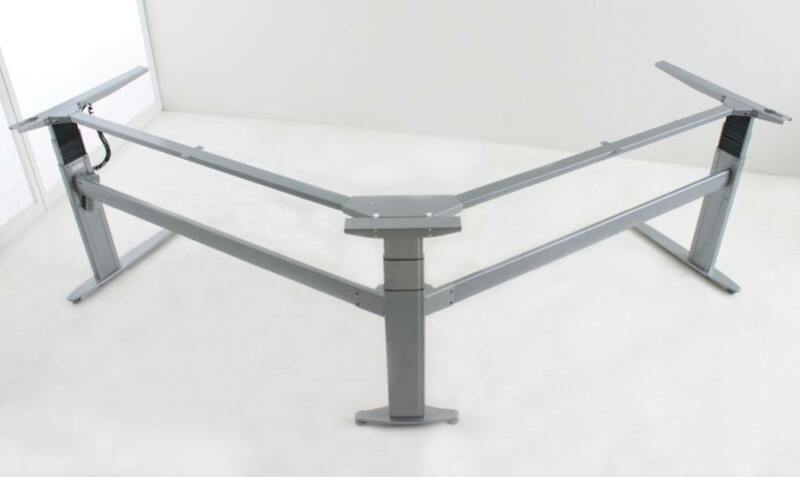 7 - 501-25 (*80kg) simple twin leg frame, 3 widths, 84cm, 133cm, 152cm (frame from SRP £393 stroke 70cm -118cm) for when basic but strong is just enough. 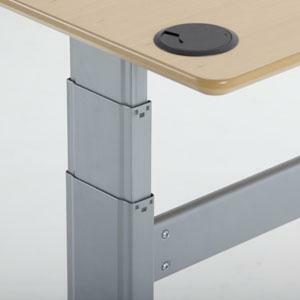 It is ideal for many purposes from multi-user call centers through to use for disabled staff who can set their own comfortable desk height at the touch of 2 buttons. 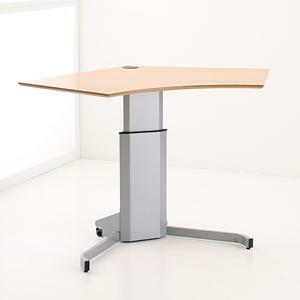 Healthy Working, avoid making back pain worse, if your back starts to ache then standing up to work can be the best relief it's so simple when you have a Conset desk. 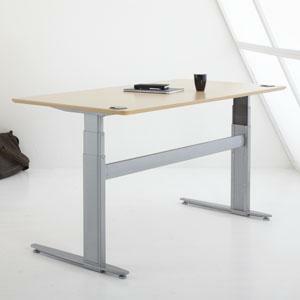 Demonstrated with our lightest capacity twin legged height adjustable desk frame. 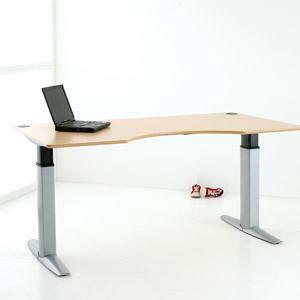 Full desk from £461 or electric frame only £407< 150cm top, £414>160cm top max 200cm. 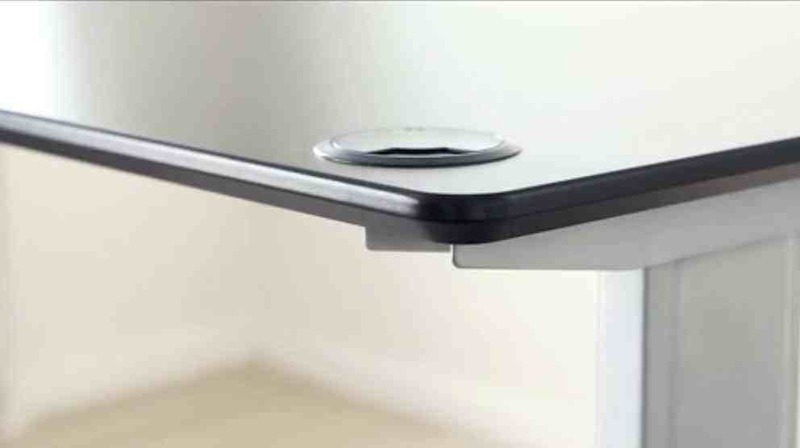 Sit stand frame height from 630mm - 1300mm at the touch of a button. Powder coated RAL 9006 silver. Speed 32mm / second. Autostop system built in. 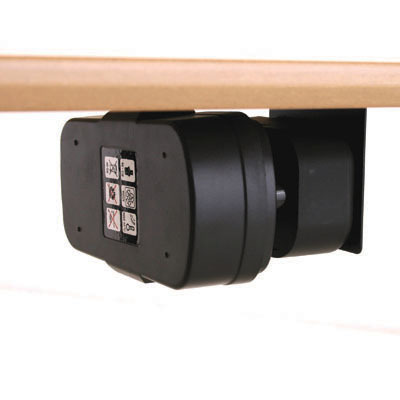 we even have a rechargeable battery pack option for schools, colleges and libraries, a wall mount version and 2 versions with optional wheels. 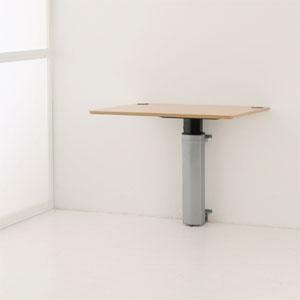 5 - Below = Conset 501-27, 125kg lift capacity frame with extra low minimum height. Suitable height range for children to most adults. 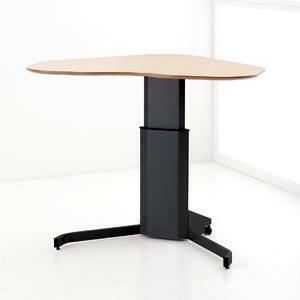 501-27 125kg capacity frame in 3 widths 84cm, 133cm, 152cm. 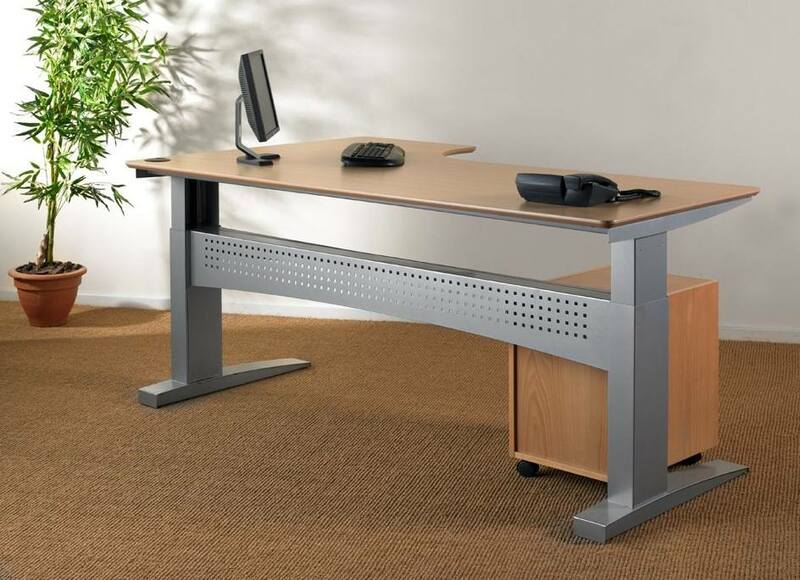 Frame price from SRP £419 ext VAT. Built in auto safety stop. 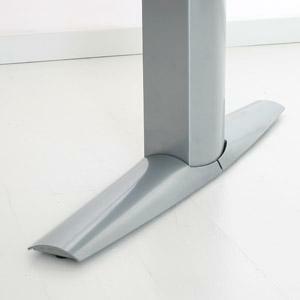 Min height just 540mm. 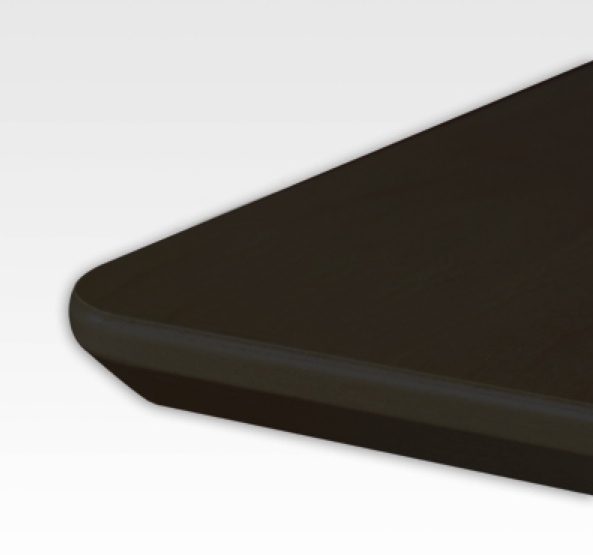 Shallow frame depth for tops of 600mm - 1000mm deep. 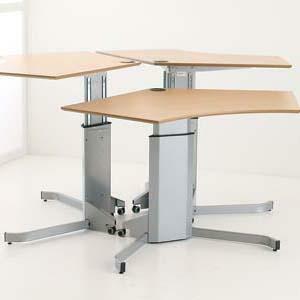 7 - Below = Conset 501-25, 80kg lift capacity frame. 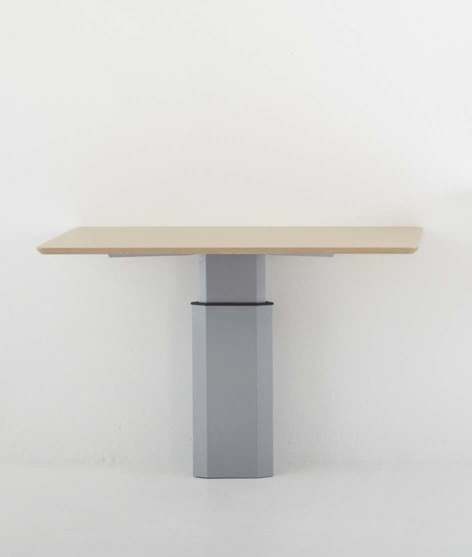 501-25 example: 160cm x 80cm complete desk, beech, maple or oak melamine SRP £484 ex VAT Available to order from your Conset furniture supplier now. 8 - Below = Conset 501-49, 100kg lift capacity frame. 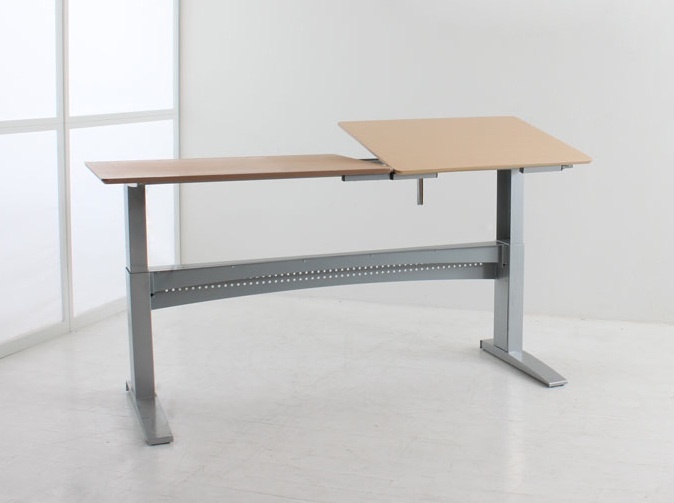 501-49 (*100kg) lift capacity electric desk frame, telescopic width option to suit multiple desk top sizes (frame) SRP £541, stroke 65cm-125cm, elegant open design. 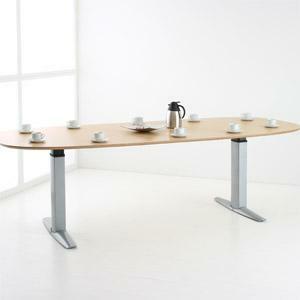 considerations, where the interest of the employee and the company meet. 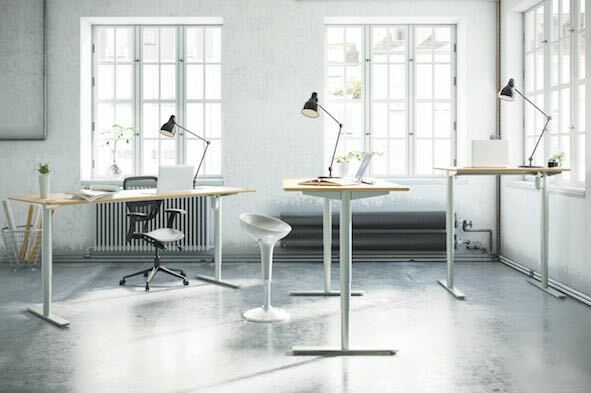 The possibility to change from sitting to standing position or just adjust the height a little has a preventive effect so working injuries and longterm absence is reduced. Also minor injuries acquired in people's spare time cause absence. Gardening, sports or other unaccustomed strain gives a lot of absence. 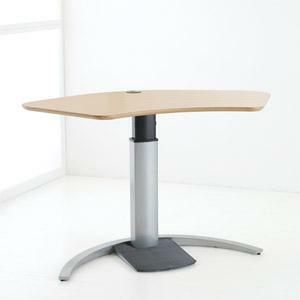 For the employees it is always a little embarrassing, but with a sit/stand table they come back to work sooner.The result is that short term absence can be less. 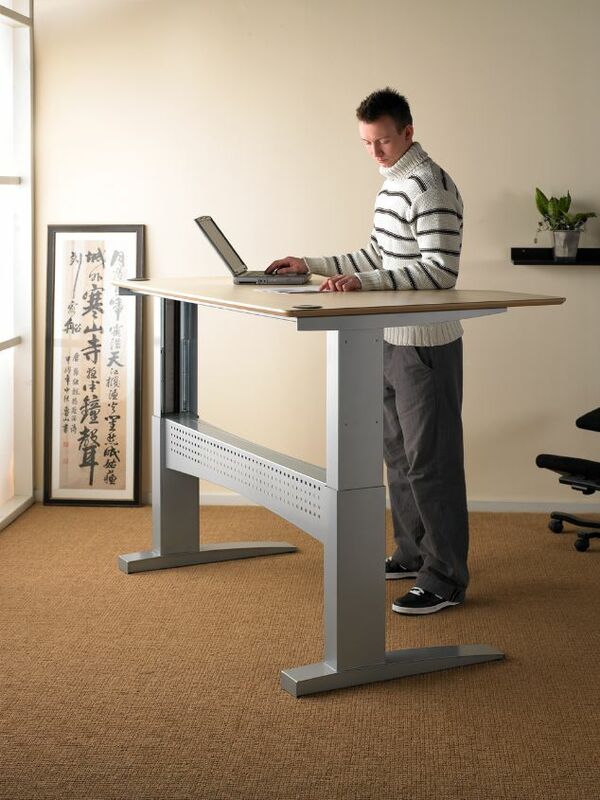 The efficiency is increased when you are not annoyed by an uncomfortable working position. 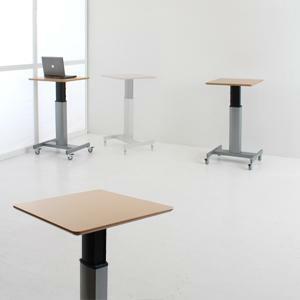 The price for the sit/stand table is crucial for the payback time. 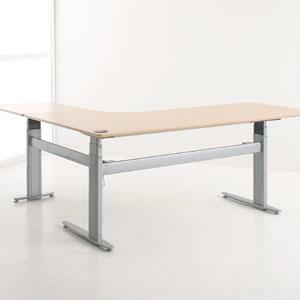 With a ConSet table this time is shorter as our prices are maintained to be most competitive. 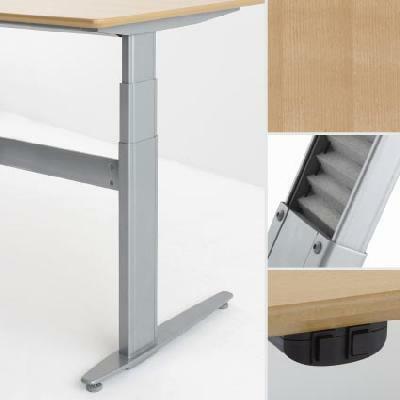 A sit/stand frame costs from £303,- and has a possible durability of 15 years. Imagine the benefit financially if the average absence is reduced by 2%. In comparison problems in the back, neck and arms represent approximately 33% of the total absence. The up side is almost too good to be true. 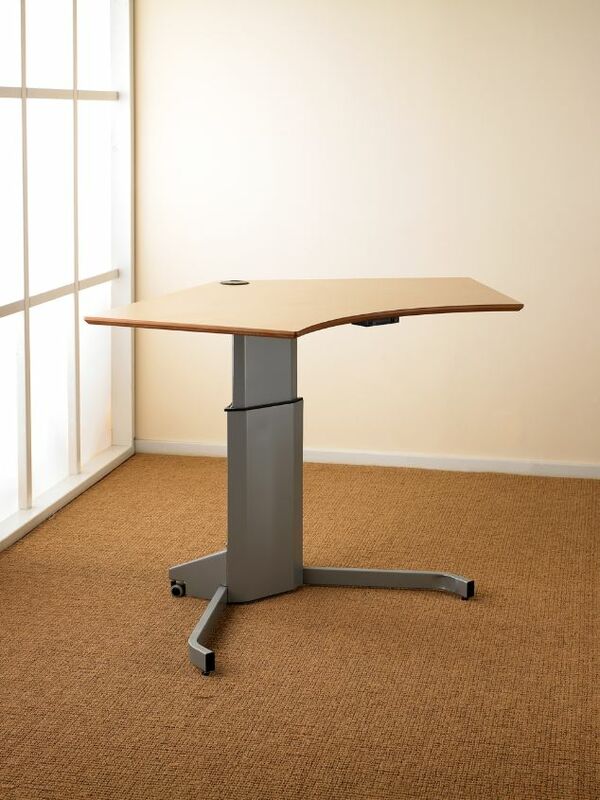 If you are looking for a height adjustable desk then Conset have the largest selection available to choose from. 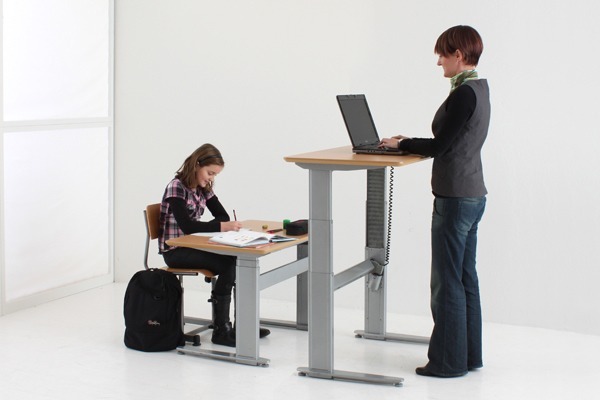 Manufacturers of electric standing desks since year 2000.